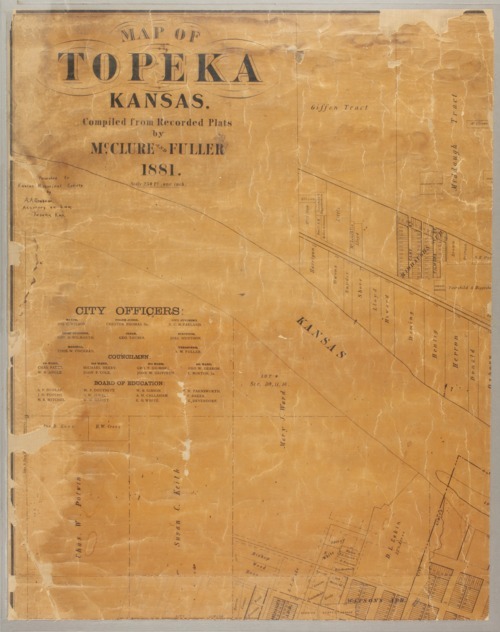 A map of Topeka, Kansas, compiled from recorded plats. It shows the different Topeka wards, as well as streets, lots, land ownership, railroads, and a portion of the Kansas River. A list of the city officers has also been included.